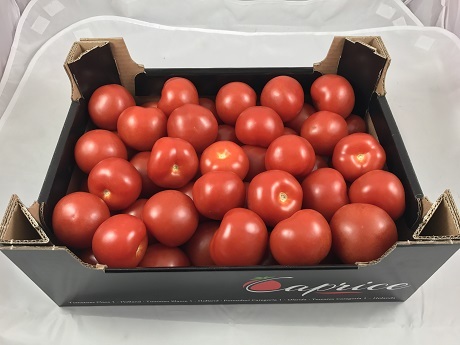 “This is the fourth year that we have sold the round Milanezo tomato and the cluster Merlice tomato in bulk under our own Caprice brand,” explains Tristan Nault, customer portfolio manager at Hoogsteder, a branch of the group The Greenery. 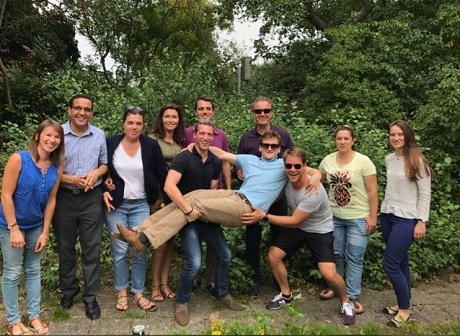 “We created a partnership with our producers and selected varieties exclusively and specifically for the French market. 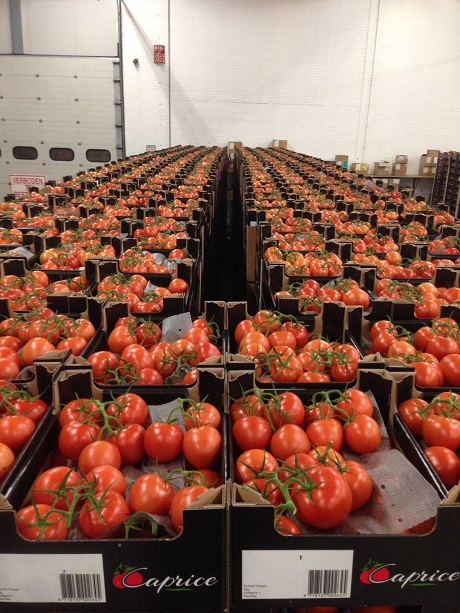 Visually, they respond perfectly to what a French consumer looks for in a tomato: they are very red and firm. The round tomato is slightly ribbed on the top, which French consumers love. 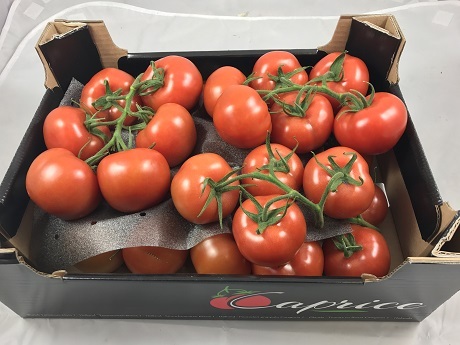 As for the cluster tomato, the green parts have a nice color and preserve well, which gives them a very nice appearance,” adds Tristan. And the cherry tomato on the cake? This beautiful red fruit also smells lovely.